Woohoo! The $10 Food Day #4 is now complete. If you’re unfamiliar, the $10 Food Day is a one-day menu plan featuring four recipes (breakfast, lunch, dinner, and a snack), all for less than $10. This is ideal for families looking to majorly cut down on their food budget, while still eating wholesome, delicious meals. So technically, that’s less than what is required of the $10 Food Day. But The $8.67 Food Day just doesn’t have a ring to it. I am particularly excited about this menu. For one, those banana sushi rolls. So, so good! I had also wanted to try slow-cooker oatmeal for awhile now, and this recipe didn’t disappoint. 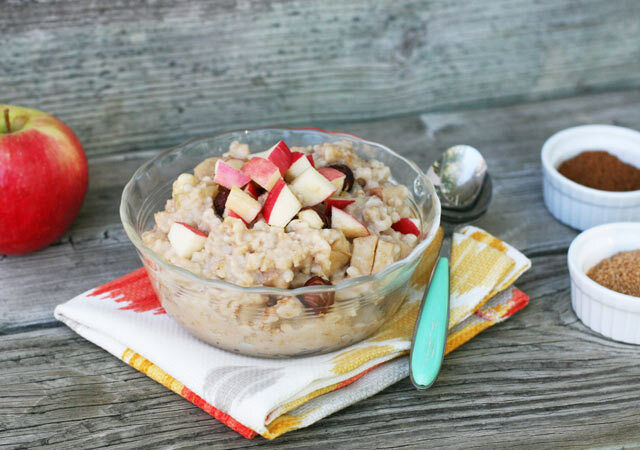 The best thing about the slow-cooker oatmeal is the ability to customize it. Feel free to add chopped nuts, fruit, honey, coconut – or whatever else sounds good. The potato soup is super creamy without added fat. And the egg boats are a creative way to make a meal out of pantry staples. I hope you enjoy this menu as much as I enjoyed creating it! Throw your ingredients in a crock pot at night, and you will wake up to a hot breakfast. Total cost, $2.37. Get the recipe here. A healthy potato soup costs just $1.70 for four servings. Get the recipe here. You can’t go wrong with breakfast for dinner. Total cost, $3.47. Get the recipe here. Banana, chocolate, and peanut butter is always a good idea. Total cost, just $1.13. Get the recipe here. 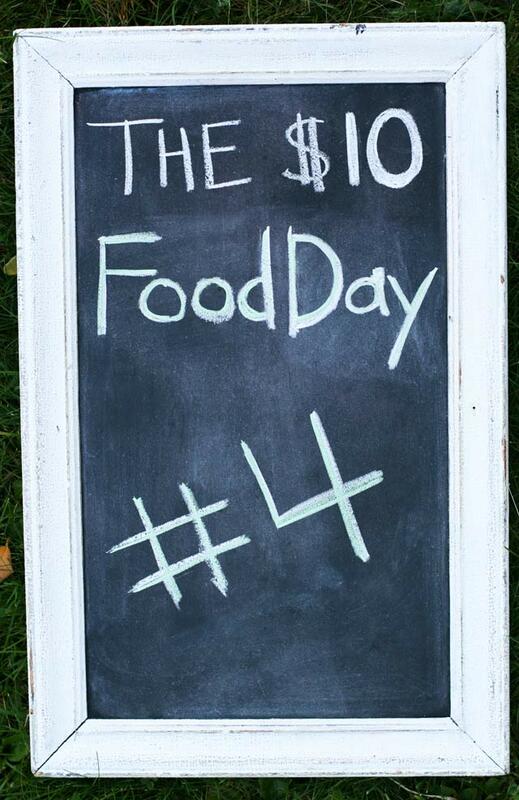 My goal with the $10 Food Day is not to provide a perfectly healthy and nutrient-balanced menu. I try my best, but I’m not a nutritionist and I’m dealing with a $10 budget. I trust that you will use the $10 Food Day recipes as a starting point, and supplement your diet with fresh fruits and vegetables and other foods to make this work for your family. Want More Ultra Cheap Recipes? I am always posting new recipes and money-saving tips. To get notifications of new posts, follow me on Facebook or Pinterest. Finally, if you have any ideas for future $10 Food Day recipes (or recipes that are really, really cheap), please let me know. I would love to hear your ideas!